Product launches seem to follow an established template: bright flashy lights, cakes, and ribbons, and occasionally a tame wild animal, concluded by a rehashed speech from a government functionary. But no wildlife was present as Oman Air officially launched their four times a week flight to Nairobi at the Kempinski Villa Rosa Hotel on 29th March 2017. 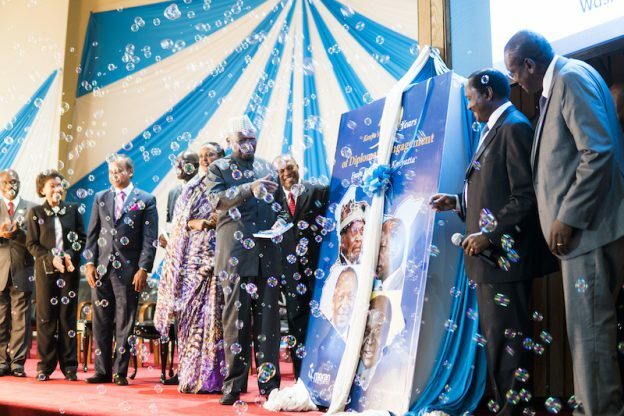 The inaugural flight to Nairobi had arrived the previous day and it was received by local Kenya airport and Government authorities. Importantly, however, was the interest generated of Oman as a destination and indeed a hub for travelers to the Middle East and beyond. The airline’s Deputy CEO and VP –Commercial, Abdulrahman Al Busaidy proved not only an eloquent spokesman for his company but a worthy ambassador of The Sultanate of Oman. The interest of those present at the launch was piqued as few had ever thought of Oman as a holiday destination let alone a hub. Most travelers from Kenya have traditionally chosen the Arab carriers that utilize Dubai (Emirates), Doha (Qatar), Abu Dhabi (Etihad) as well as Sharjah (Air Arabia) which all market themselves’ as glitzy shopping and commercial destinations. Oman Air doesn’t pretend to be a Gulf Major carrier. Currently Emirates, Etihad and Qatar Airways are the undisputed ME3 giants who are now subject to what has been perceived by many to be protectionist measures from the USA and the UK in the guise of the ‘laptop ban’. Al Busaidy attributes such measures to the incapability of carriers from those countries to compete on services available at their fantastic airports and modern fleet and services. 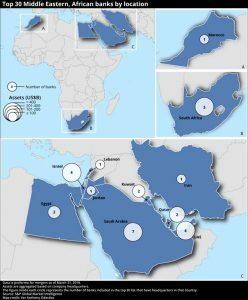 While no US carrier serves the Middle East, the Gulf carriers operate multiple flights to any of the major hubs in the Middle East. 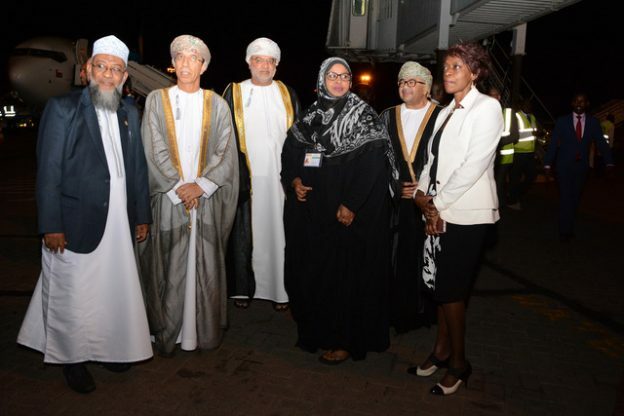 Oman Air is leveraging the long historical ties between Kenya and Oman which date back to the days when the Portuguese ruled much of the East Coast of Africa. Indeed the Sultan of Oman’s army flushed out the Portuguese from Fort Jesus in the 17th Century and the cultural exchanges and inter-marriage with the local coastal people gave rise to Africa’s most widely spoken language, Kiswahili. Currently, the airline flies to Dar es Salaam and Zanzibar with Nairobi being the 55th destination of the airline’s growing route development. With a popular in-flight entertainment and free Wi-Fi service on most of its aircraft, Oman Air now has a fleet of 47 aircraft with a mix of Embraer Regional Jets (ERJ) for local and regional flights, Boeing 737s for short-haul routes and Airbus A330’s and now the Boeing 787 Dreamliners for the long haul flights. Indeed two of the Dreamliners were leased from Kenya’s national carrier Kenya Airways (KQ’s) as part of fleet rationalization of KQ’s ongoing Operation Pride restructuring. Both airlines are expected to conclude a code-share agreement by mid-April 2017. Oman Air has also chosen not to align itself with any of the major airline alliances such as Sky Team, Star Alliance or One World but instead code shares flights with Emirates, Ethiopian, Garuda Indonesia, KLM, Royal Jordanian, Saudia, Sri Lankan Airlines, Thai Airways and Turkish Airlines. Muscat as a base for Oman Air provides the entry point to this traditional conservative Sultanate which has a rich history in preserving its culture (Islamic architecture, all-white buildings, Dhow making, Painting shows, the Muscat Festival and the Khareef Festival held in Salalah in July and August annually) and environment punctuated with over a 100km coastline. Nairobi will serve as the entry point to popular tourist destinations at the Kenyan Coast and the wildlife marvels of the national parks in the Mara, Tsavo, and Amboseli. Tourism between Kenya and Oman is expected to grow as the airline also envisages Mombasa as a future destination. Coupled with a fairly liberal visa regime (Note that Dubai visa holders get automatic entry into Oman), Oman Air is hoping to prise away traffic from the other carriers especially to the big hubs of the Middle East, India, and China. With introductory fares of $350 to Muscat and $485 to Guangzhou return, this could prove to make for interesting times for travelers to and from Nairobi. Oman Air indeed epitomizes Oman as a country, its aspirations, culture, history and modernity and its approach to tying itself to both its past and the future as it opens up new destinations. The Nairobi route will be operated by a Boeing 737-800 and the airline’s growth and development strategy plans for 70 aircraft (currently they are 47) and 75 destinations by the year 2020. The four times a week flight (WY722) )leaves Nairobi at 00:45 (on Tuesday, Wednesday, Friday, and Sunday) and operates non-stop and is designed for an early morning arrival in Muscat that enables connections to other 50 destinations. Oman’s currency is the Rial and OMR 1 = ~$ 2.6, and OMR 1 is ~Kshs 267. This entry was posted in Kenya Airways, Kenya domestic tourist, Middle East, Mombasa and tagged Oman Air on April 7, 2017 by bankelele. 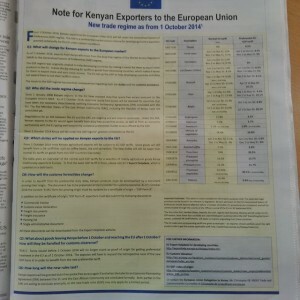 Kenya Agri Exports to the EU take a Hit? There was also an article in the same paper showing that a draft has been agreed to, and that a final EPA may be signed and effected in time, but others say it is too late for this. The new rates, while still subsidized compared to what other nation suppliers pay to export to the EU, are still a blow considering that some exports will no longer be duty-free. While some like tea, coffee beans & carnations will remain duty-free, Kenyan exporters will pay subsidized rates of 4.5% on tilapia exports (compared to a normal EU rate of 8%), 2.5% for roast coffee (not 7.5%), 10.9% for mixed vegetables (not 14.4%), and 5% for roses and cut flowers (not 8.5%) between November and May – which includes the crucial Valentine’s Day period when some flower farms can earn half their revenue. This caps what has been a tough year for Kenya’s exports of tourism, tea and coffee which have all been adversely affected, and now this. The recently released Economic Survey 2014 showed total exports declined by 3% from Kshs 518 billion in 2012 to Kshs 502 billion in 2013 (as per the Devolution Cabinet Secretary). Kenya will qualify for the preferential (GSP) tariffs, while Rwanda, Burundi, Uganda and Tanzania are currently considered under “least developed countries” and most of their exports to the EU will qualify for a unilateral 0% tariff. This entry was posted in AGOA, East African Community, Fin4Ag, Homegrown, James Finlay, Kenya coffee, Kenya economic growth, Kenya tea, Middle East, NSE investments, Rea Vipingo, Rwanda, Sasini, tanzania, Uganda on September 22, 2014 by bankelele.